Out from the morning fog, a lumbering Crested Strider comes into view. 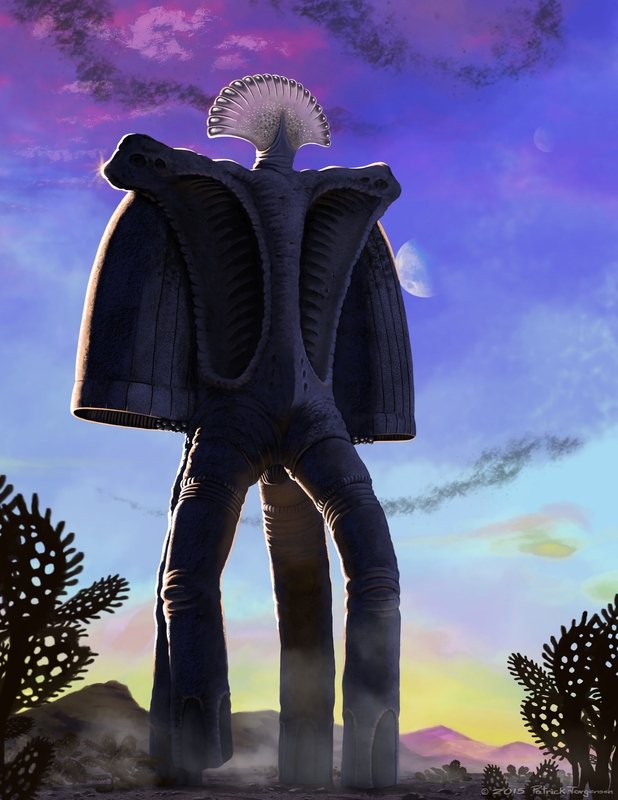 A giant that filter feeds off the strong air currents found in the low lands. The odd shaped head allows for gusts of air to enter and be strained for any residing food. The access air is then flushed out the bottom of the two, lung like structures on either side of the body. A large fan at the top of the head folds out to trap morning sunlight and jump start the life-form.